Mission: We heal, comfort and care for the people of our community by providing advanced and compassionate health care of superior quality and value supported by education and clinical research. 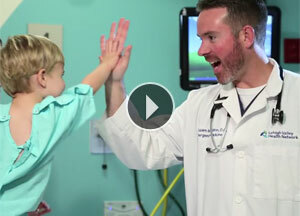 Learn how LVHN is creating better health, better care and better cost. At Lehigh Valley Health Network, we continually go the extra mile to fulfill our mission to heal, comfort and care for the people of our community. Each one of our more than 17,000 colleagues contributes to this mission and helps make the Lehigh Valley a healthier – and better – place in which to live. Our tagline – A Passion for Better Medicine – reflects a legacy of patient-centered care that began with 13 compassionate, civic-minded women more than a century ago. Caring deeply about the health and well-being of their community, they raised $5,300 for a plot of land at 17th and Chew streets in Allentown, Pa., and in 1899, opened The Allentown Hospital. Their generous example was the first step in our health network’s journey. In the late 1950s, with the area’s population booming, a group of Lutheran clergy purchased a 102-acre alfalfa field in Bethlehem and set out to build another hospital for the community. Muhlenberg Hospital Center opened its doors in 1961 as a 192-bed facility for the chronically ill. The inspiration for our modern-day health network came from Leonard Parker Pool, the founder of Air Products. In addition to having a brilliant mind for business, Pool also had a passion for health care and serving his fellow man. In the late 1960s, that passionbecame personal. 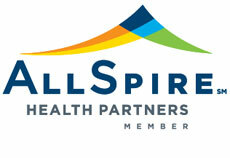 Lehigh Valley Health Network is among seven of the nation’s leading health systems that have formed an interstate consortium called AllSpire that will address quality, population health management, best practices and medical research in the Northeast region. When his wife, Dorothy, had to travel back and forth from the Lehigh Valley to New York City to receive leading-edge cancer treatment, Leonard Pool realized many in his community did not have the means to travel outside the region for such care. He had a vision to create a “superior, regional hospital” so people could receive the best possible care without leaving the Lehigh Valley. He donated $5 million to help bring that vision to life, which led in 1974 to the construction of what is now Lehigh Valley Hospital-Cedar Crest in Salisbury Township, Pa. Guided by Pool’s vision, we have since transformed into one of the nation's most respected health networks, offering comprehensive care in 95 clinical specialties. This care is complemented by clinical research and education, including a medical school partnership with the University of South Florida Morsani College of Medicine that’s preparing the doctors of tomorrow. In January 2014, we merged with the Greater Hazleton Health Alliance to give residents of Northeast Pennsylvania enhanced access to special care. Its hospital, Hazleton General Hospital, was established in 1891 to provide medical care to coal miners of the region. In September, 2016, Schuylkill Health of the Pottsville area in Schuylkill County, became part of Lehigh Valley Health Network. Schuylkill Health had two hospitals. Schuylkill Medical Center – East Norwegian Street, established in 1920 by a group of area physicians as the A.C. Miliken Hospital, became Lehigh Valley Hospital–Schuylkill E. Norwegian Street. The East Norwegian Street hospital spent more than 50 years as a Catholic facility under the direction of the Missionary Sisters of the Most Sacred Heart of Jesus. Schuylkill Medical Center – South Jackson Street, founded in 1895 as the Hospital of Pottsville primary for the care of people associated with industrial businesses in and around Pottsville, became Lehigh Valley Hospital–Schuylkill S. Jackson Street. Lehigh Valley Hospital–Schuylkill S. Jackson Street, in Schuylkill County. Lehigh Valley Reilly Children's Hospital, the only Children’s Hospital in the Lehigh Valley, including inpatient and ambulatory care, a Children’s ER, the J.B. and Kathleen Reilly Children’s Surgery Center in Salisbury Township, more than 25 pediatric specialists and numerous child-specific services such as rehab and burn care. Community health centers offering doctors' offices and lab and imaging services at convenient locations in Bangor, Bath, Bethlehem Township, Blakeslee, Easton, Emmaus, Fogelsville, Frackville, Hamburg, Kutztown, Macungie, Moselem Springs, Mountain Top, Palmer Township, Quakertown (in partnership with Grand View Hospital), and Trexlertown, as well as health & wellness centers which also include fitness facilities at Cedar Crest, Hazleton, and Muhlenberg. More than one dozen ExpressCARE locations offering walk-in, no appointment care, as well as the region’s only Children’s ExpressCARE in Palmer Township. The care and services we provide annually receive national recognition through awards and accreditation from organizations such as U.S. News & World Report, Centers for Medicare and Medicaid and many others.